Office? What’s an office? Nowadays we work in coffee bars and cocktail bars, on trains and airplanes, Greek island ferries and Danube river cruises. And on our home sofas. We check in with the office — or with the co-workers who would inhabit such an office, if it existed — from remote locations. And sure, email’s great, but sometimes you just need to speak face to face, and that’s why we have video calls. Whether you use Skype or Google Hangout or some other program, a video call is almost like being in a meeting in person — almost. As with an IRL business meeting, there are standards of comportment you ought to follow. The word “etiquette” may summon images of tea sets and green lamp shades and haughty Victorians with their curling mustaches — but you wouldn’t show up to a live business meeting without giving some thought to how you appear and behave, so don’t do that for an online one, either. Here are ten key rules of etiquette for doing business over video in our often-remote, always-connected age. Open your app ahead of time to check for any software updates, and try a test call or two to make sure everything’s kosher with both your camera and your microphone. Nothing looks more amateur than running late while your 2009 MacBook reboots with a new Skype update, or logging in to a video conference and yelling “Can you hear me now?” like the 2011 Verizon spokesman we all inevitably think of. A tip: Small, fussy patterns and extreme colors (red, white, black) fare poorly on camera. Pastels, on the other hand, do well. 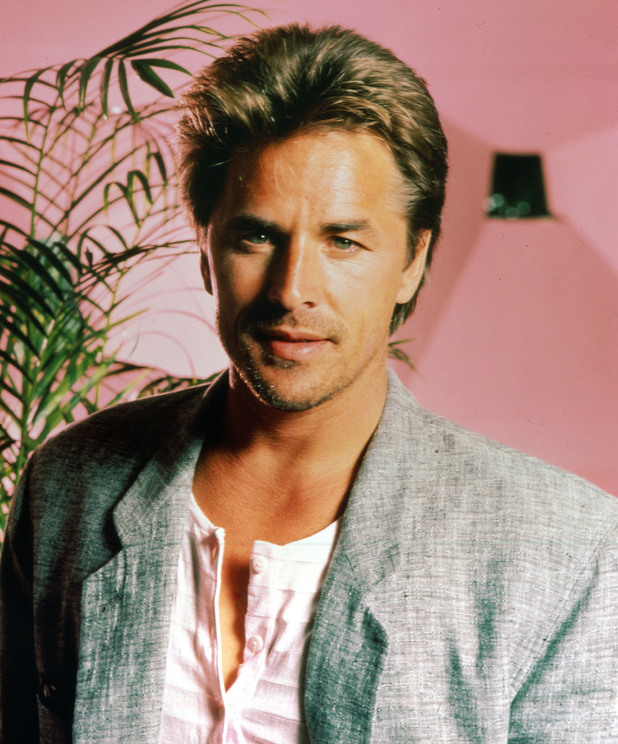 So in video, as in life, be like Don Johnson. 3. Make your background look nice. A bare hotel room wall will do fine if that’s what you’ve got, and a crowded bookshelf with a few personal tchotchkes may help others get to know you. But before you join the call, look behind you. Please keep pin-up girls, 1990s magic eye posters, and ransom notes written in blood out of the picture. A key thing to think about is lighting: People would prefer not to speak to a cave-dwelling troll, but if overhead light is too bright, you’ll look like a zombie. Ideally, you want even, plentiful light coming from the side, not blasting into the camera. You may need to draw the window shades (or open them) to get it. 4. Don’t go straight to video. Are you a bad movie? Most likely not. So don’t go straight to video — reach out to the person you want to video chat with beforehand in a less intrusive medium like text or telephone, to make sure they’re available. Only once you have their permission should you initiate a video call. And if they decline, do not under any circumstances keep bugging them. 5. If their camera is on, yours should be, too. This is a judgment call, but generally, if you’re on a video call with several colleagues, and their cameras are all on, it looks bad for you to leave yours off. Any choice you make about the camera reflects on your professional image, Senning says. If he’s on a video call with someone who’s “working from home” that day, and they don’t turn their camera on, “I say to myself, ‘They probably didn’t even get dressed this morning.’” The slackers. 6. Look ‘em in the lens. A secret to video calls is that looking into the camera is the equivalent of looking others in the eye — that’s how you appear attentive on the other end. For that reason, Senning advises positioning your camera close to where you’d naturally be looking on your screen. You don’t have to be looking into it at all times, but if you’re presenting in the meeting, it’s good to give that li’l lens some love. 7. Do not submit to distractions. On an audio-only conference call, it can be okay to stand up, move around the room, fidget, even play with your phone — because no one will know. On a video call, everyone will notice the second you become distracted. On camera, you need to adopt a zero-tolerance policy toward sending email, texting, eating (duh! ), and doing anything else that might betray your wandering mind. Typing on your laptop while using it for the video call is a particular sin, since the microphone is likely right next to the keyboard, which means you’re pounding that Facebook status straight into everyone else’s ears. In a perfect world, you’d take video calls in a quiet room with a door that locks. But unless you live in a very different place than what we know, you’ll need to optimize the environment you got. The worst environment for video calls is a crowded coffee shop, with slow wi-fi, lots of background noise, and frazzled, overcaffeinated techies scampering in the background. Hey, did we just describe your open-plan office? Pro video callers often make a sign to either hang on the door or hold up to others that says, “I’m on a video call because I rule at business, leave me alone.” Or something. And if your naked four-year-old does wander into the frame with a paintball gun, be cool while dealing with it: Anything you do with co-workers watching will influence your professional reputation, Senning says. 9. Know what’s supposed to happen. A video call can do almost everything an IRL meeting can do, but maintaining order with a large group of people is much harder through a screen than in person. For that reason, Senning suggests that any video call with more than three or four people should have a clear structure: a designated host, an agenda, time set aside for questions and comments, and maybe even a hand-raising policy. It’s better to go back to third grade than to be constantly and accidentally interrupting one another. 10. Don’t forget that the mic and the camera are on, especially when it’s over. Nothing is more embarrassing than thinking you’ve ended a video call, blurting out, “Well, we’ll never work with those bozos,” and then realizing the microphone is still on. Or throwing shade at a co-worker via video and then learning that they’re listening on the other side. These are easy things to do on video calls, where audio often runs through a separate channel (like the phone), you may not be able to see everyone on the other end, and the contents of your screen may be shared. So please, to save everyone a lethal amount of shame, warn others about live mics and cameras, tell people on the other side of calls who else is present, and use discretion about what’s on your screen. Real talk should commence only after you’ve triple-checked that everything is disconnected.